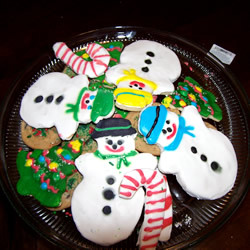 So, treat your sweet to some of these: Soft Sugar Cookies! Yum! Oooh, I’m trying these this year ! Thanks for sharing !!! Mmm, frosted sugar cookies are my favorite! I used to make them for every holiday, but now we have to do gluten free at our house. thanks for linking up!